I was wrong, I admit it. I thought I could live in New Orleans without relying on a car. For the six years I lived in Washington D.C. I walked, rode the metro or took the bus. 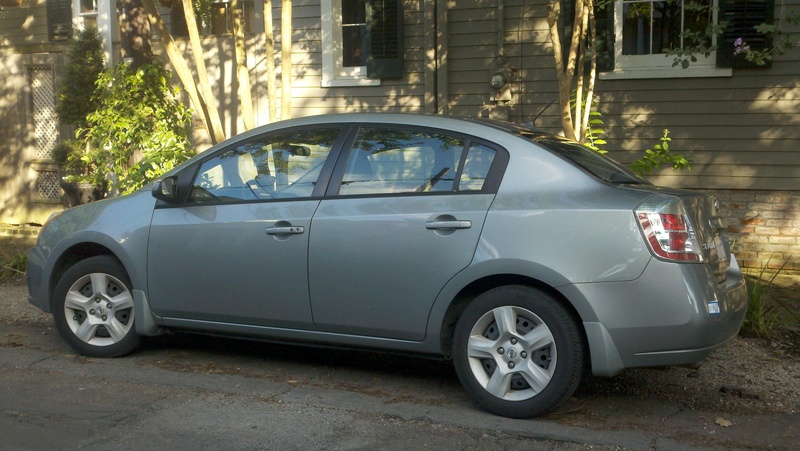 In extreme cases I rented a Zipcar or borrowed a friend’s wheels. But most of the time I biked. I biked to and from work. I biked to go out at night. Once, I even biked to all 50 streets named after a state. I was proud, smug even, that I didn’t need a car. I vowed that I would never become car-dependent, even in a city that made that lifestyle more challenging. A city… such as New Orleans. The car. The evil, sweet, sweet temptress. I write this post to admit that I failed at my goal. My sublet is located on a bus line, a ten-minute walk from the St. Charles streetcar and within walking distance from businesses I patronize often. But I’ve fallen pray to the lure of the automobile. I am sharing my boyfriend’s car with him, but he’s the one that walks when it’s an option. When he says he’s going to the coffee shop that’s less than a half a mile from our house I offer to drop him off. Yesterday, I suggested we walk take a walk in Audobon Park, but asked if we could drive there. And JUST as I typed this, my boyfriend told me he is going to meet someone nearby for drinks. I offered to drop him off. I don’t see many people listening to their Ipods as they walk around, which always made being outside in D.C. more bearable. If you have your headphones on here, you seem unapproachable and people wont’ say hello to you. In an attempt to appear friendly, I’ve been sans music and my beloved podcasts. In isolation, the streetcar and buses are fine. Slow, very slow, but they get the job done. But what if you need to transfer, it’s hard to justify public transportation. Rather than drive to Midcity, my boyfriend and rode the bus to the Canal Street streetcar, and then walked to our final destination. It took an hour and a half. It would’ve taken 15 minutes in the car. According to Google maps, it would’ve taken an hour and a half to WALK. I write this post the weekend before I return to D.C. to get the rest of my belongings, including my bike. Next month, I will drive less. I will use my gas expenditures to measure. I am announcing this so I can be accountable you, my readers. Because being accountable to myself and Mother Nature is not enough. The nagging guilt of effortless conveyance. Always a problematic issue. Allow me to suggest some steps that may help you remain green. Placing a giant BP placard on your steed would doubtless lead to less time behind the wheel in NOLA. Or the less severe (and safer) step of parking the offending temptress several blocks away might alleviate your dependence on four wheeled air conditioned bliss for travelling less than five miles. Should you find these suggestions odious, then the alternative of course is to join with us, the antique Californians, at the Church of Motor Trend and help us to help others see the light. As an American, you have the right and the obligation to drive across the street to get your mail. i will bike down louisiana ave. and shed a tear for the loss of your car-free innocence.